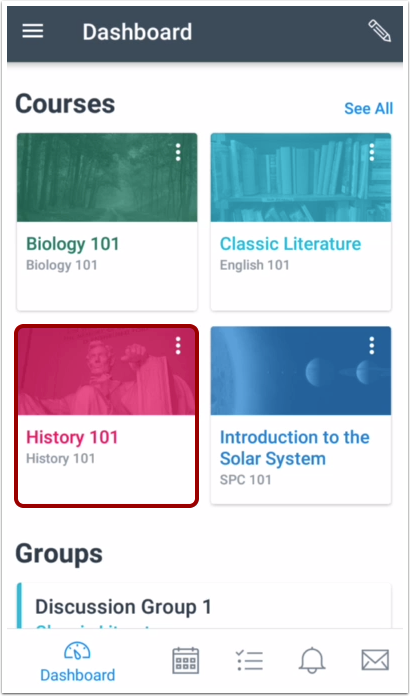 How do I turn in an assignment from a third-party app to the Student app on my Android device? 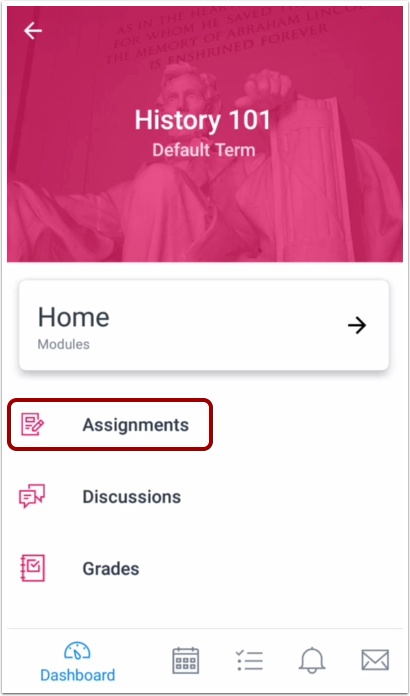 Canvas makes it easy to submit assignments on your Android device by linking them from third-party apps, such as Google Drive and Dropbox. 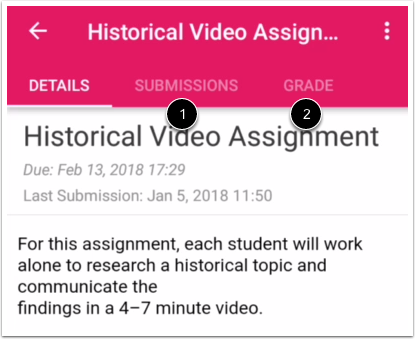 The assignment must already be uploaded to the third-party app. The third-party app must be installed on your Android device. 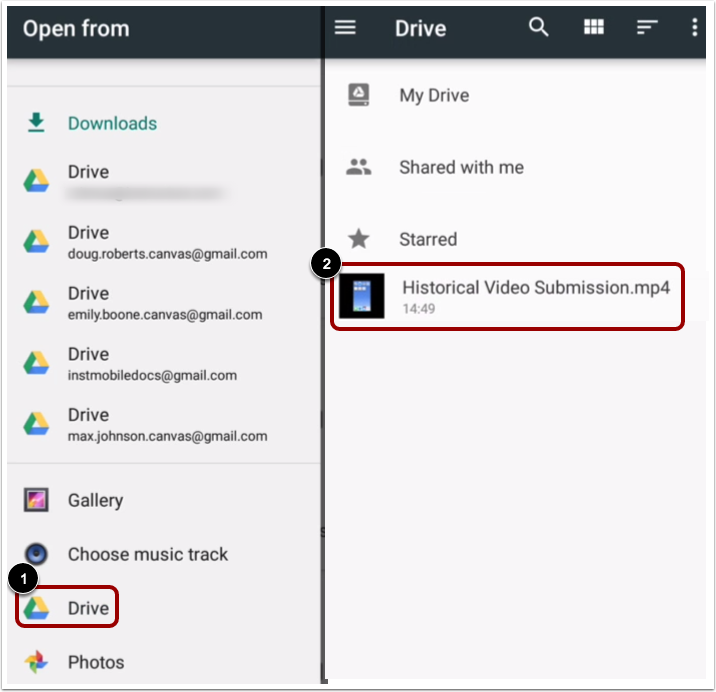 To learn more about File Upload submissions in the Canvas Student app, view the Canvas Media Comparison PDF. Tap the Submissions tab . 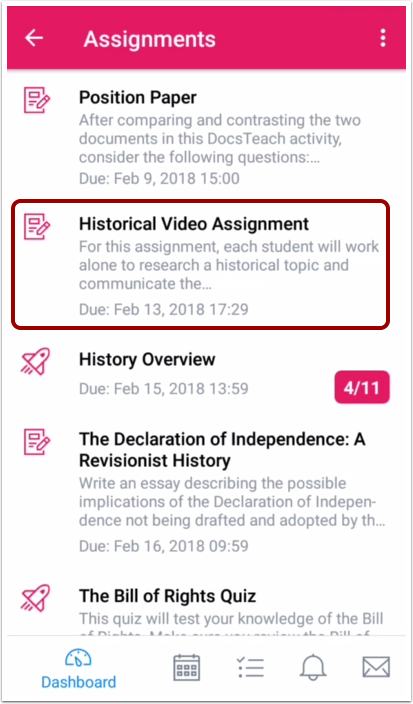 If you want to view the assignment rubric before submitting the assignment, tap the Grade tab . Open the third-party app . Then locate your file . 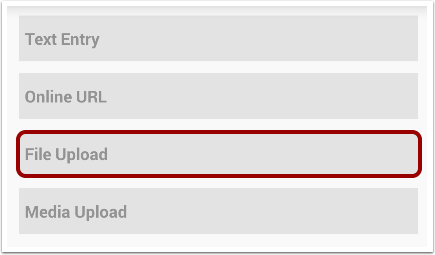 Once the Canvas Student app has located or created your file, the file will appear in the attached files list . If necessary, you can remove the imported file by tapping the Remove icon . 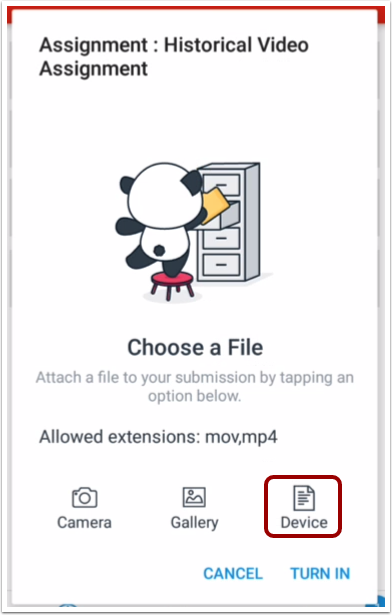 To upload additional files, tap the upload option you want to use . 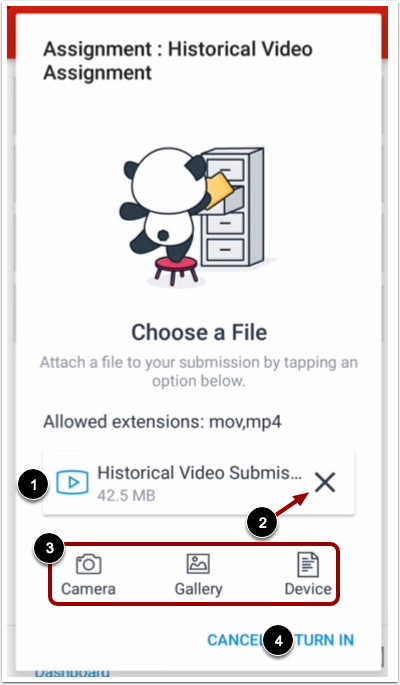 When you have finished uploading files, tap the Turn In link . Previous Topic:How do I turn in assignments in the Student app on my Android device? Next Topic:How do I submit a PDF assignment with annotations in the Student app on my Android device? Table of Contents > Course Features > How do I turn in an assignment from a third-party app to the Student app on my Android device?